Bay My Hero got Burghley off to a great start with a superb dressage test, to leave him in second place on a score of 39.5. He produced a personal best and a very smooth mistake free test. 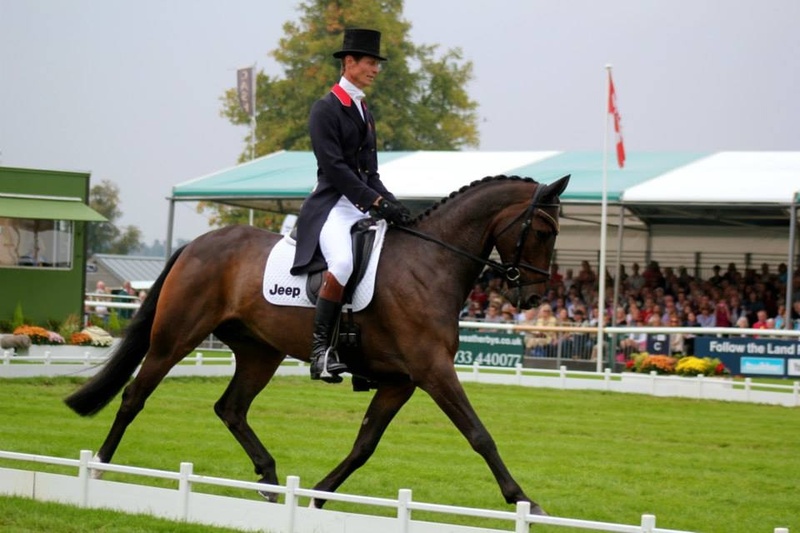 He coped well with the atmosphere which was a relief after his trot-up antics and he seemed to really enjoy himself. The leader board is very tight with all the leading horses closely bunched together. The cross country course looks serious as usual, with plenty of emphasis on turns and line. But I would like to think it is a very fair track for Moonie, however the terrain as always will be demanding and Burghley is new territory for him. I've got a long wait tomorrow so I will be able to see how the course is riding, which is not always good. William's cross country time tomorrow is 3.26pm.